This past month besides knitting I have been searching for new challenges in knitting. 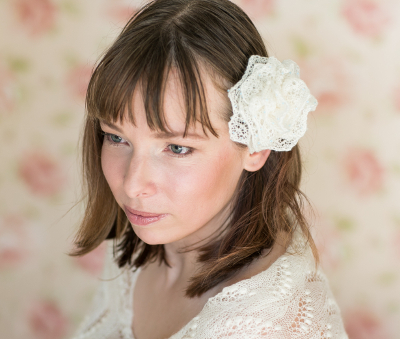 I have already knitted wedding shawls and ring bearer pillows, but what other wedding related things could be knitted? 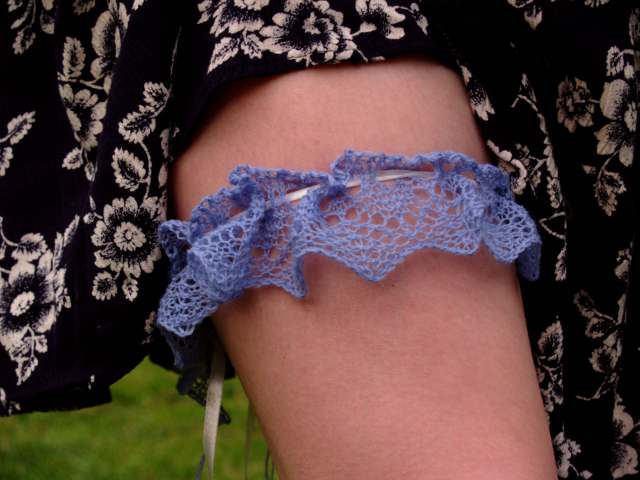 Somehow my mind turned towards garters and I had an idea how to use Haapsalu lace patterns for knitted wedding garters. I quickly turned on my computer to see if anyone has already done something like that (usually someone has). And nobody had! 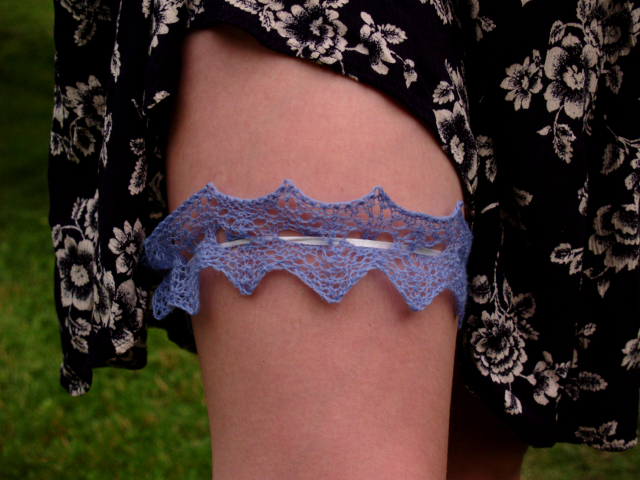 Of course people have knitted garters before, the idea was not that unique, but all the garters that I could find were of a different design that I had imagined. So I quickly wrote the patterns down that were swimming around in my head, took my knitting needles and here is what happened. Now these are only prototypes and therefore the actual products may be a bit different when they hit the store but they represent my idea pretty well. I also tried to incorporate some common patterns that I use in bridal shawls and ring bearer pillows into them, so in the third garter I used the heart pattern and in the fourth the Lily of the Valley pattern. They are not in my store yet so if you want one contact me directly. So there is a word in the title of this post that has not been mentioned jet – birthday. 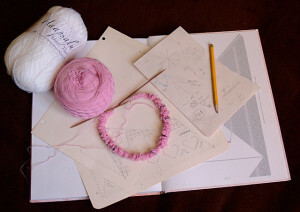 Yep I’m a year older now 🙂 And I had the perfect birthday for a knitter, besides thinking about knitted wedding garters I was able to start a new knitting project that I designed myself. And here is a small preview for you but I will keep the design a secret for now 🙂 I do hope to finish knitting it pretty soon but there are some tricky parts that might postpone the final completion, but I promise to show the end result as soon as it is completely ready.